This morning started out sunny and beautiful, and reflections were everywhere. 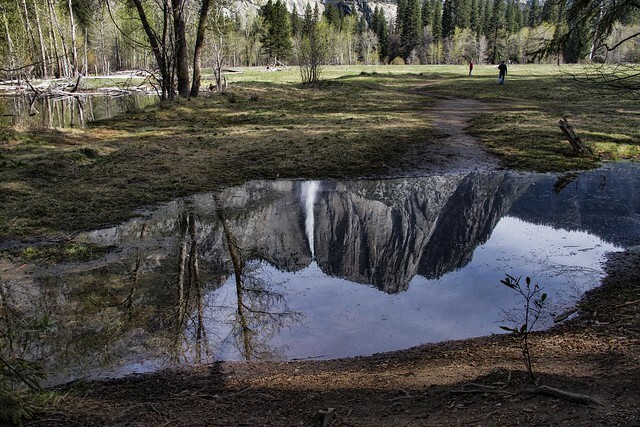 Reflections provide a new perspective on something familiar, and this view of the top portion of the Yosemite Falls is no exception. 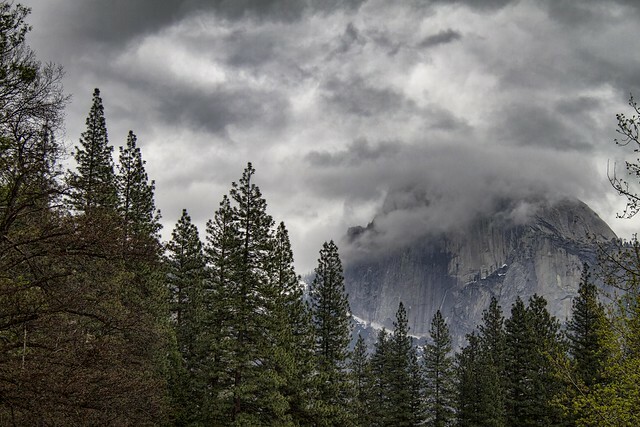 But the promised rain did come, and the clouds hovered The misty clouds hovered around the tops and sides of the cliffs, and provided a new perspective of Half Dome.